The picturesque village of East Hendred nestles at the foot of a chain of hills known as The Downs in the historic Vale of White Horse in the heart of England. Far from being a sleepy village, East Hendred combines life in the 21st Century with a proud history stretching back many hundreds of years. 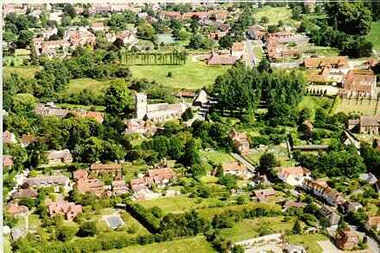 East Hendred is situated just south of the A417 main road between Wantage and Rowstock Corner in the south of Oxfordshire. Search for info on the hendred.org website.